It rained heavily over the weekend, unusual for this time of year. The darkening clouds came over the Sierra de Lújar as if the shutters were being pulled down on Órgiva. Thunder echoed up the valley like distant timpani. 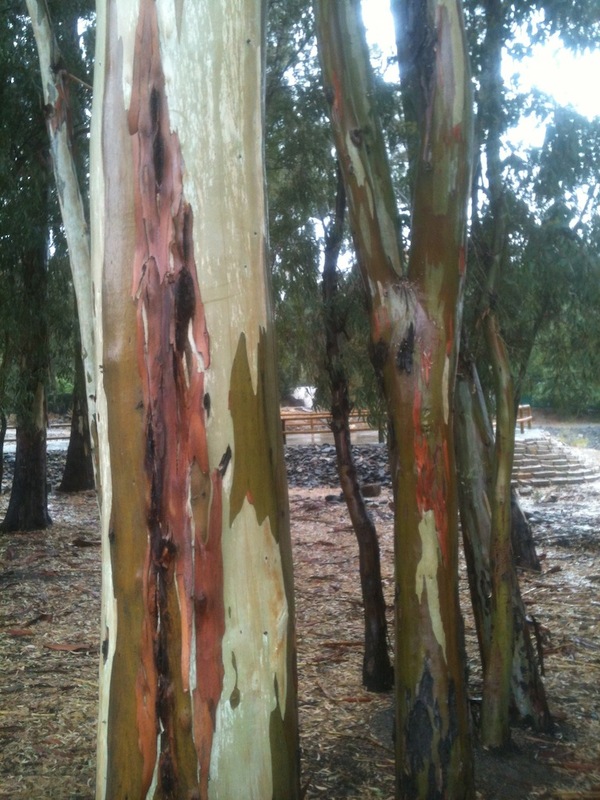 Like everything else, the eucalyptus trees soaked up the rain which turned them into a variety of subtle hues. It reminded us of a Keith Vaughan painting. I thought they were hides in hanging in a tannery!! 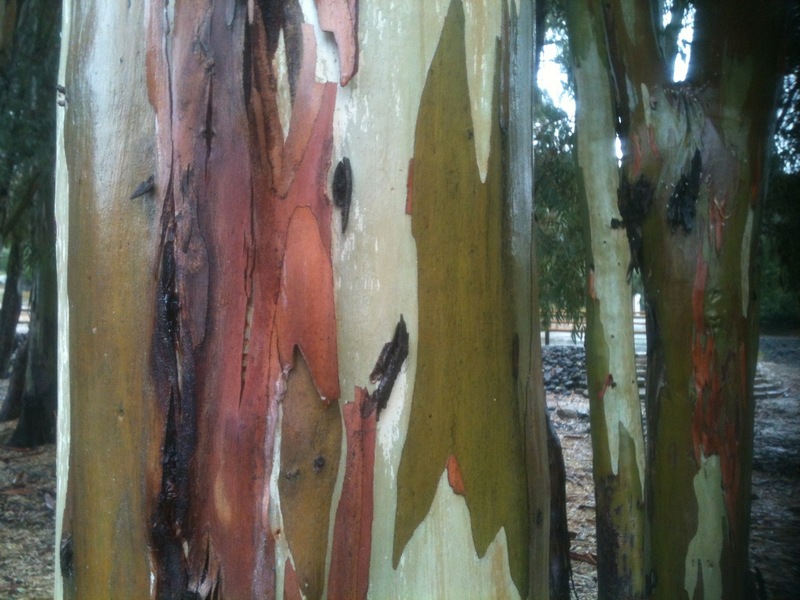 I love the bark of eucalyptus trees. Gorgeous! They are, aren’t they? Can’t remember seeing them in the UK/Ireland but they must be there, yes?